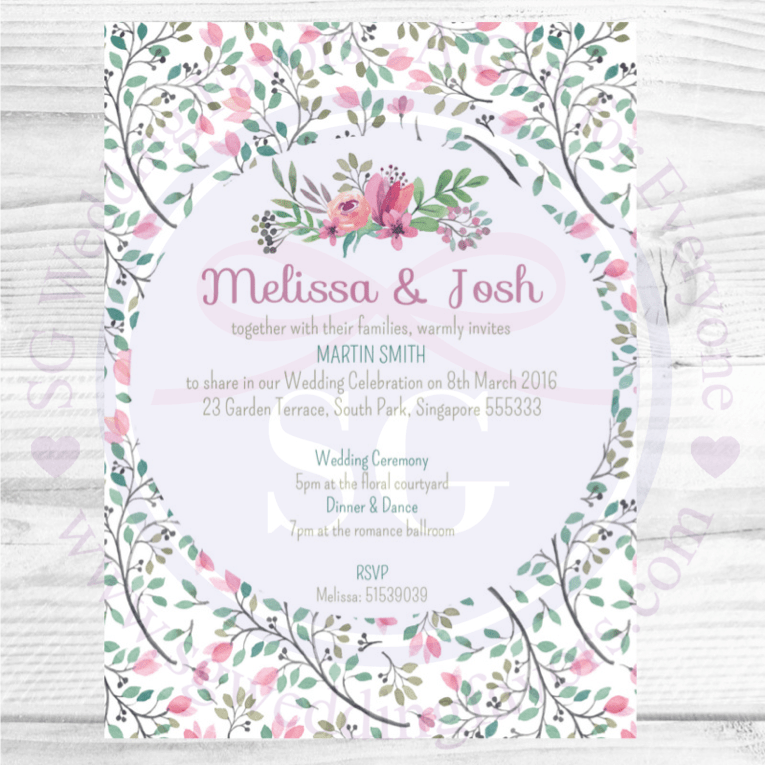 Beautiful in its sweet hues of watercolour pinks and greens, the Sweet Floral Invite is befitting of any wedding or event announcement! Once purchased, please email us your message you would like printed on your cards. Individual Guest Names may be printed.